To make your LinkedIn profile appealing to employers, every section of it has to stand out. I wrote an article on the LinkedIn photo and branding headline and how they can contribute to your personal branding. Now I’ll address one of the most important LinkedIn sections, the summary. In my mind this section is neglected by far too many people, greatly reducing their personal branding potential. Let’s look at three points to consider when branding yourself with your LinkedIn summary. Don’t recite your résumé summary. Some jobseekers, against the advice of Professional Résumé Writer Tracy Parish, use their summary as a dumping ground for their résumé’s summary. In other words, they copy and paste the summary from their résumé to their LinkedIn summary. Is this utter laziness or poor branding? Both. One major difference between the two summaries is the number of characters allowed on LinkedIn and the number of characters your résumé’s summary should contain. You are allowed 2,000 characters for your LinkedIn summary. So use them! On a résumé this number of characters would take up three-quarters of a page, much too long for a two-page document. A proper number of characters for a résumé should not exceed 1,000 if written well. You have a voice with LinkedIn. 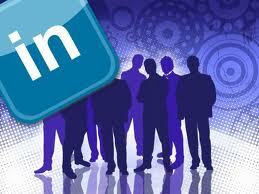 You’re given more freedom of expression on LinkedIn; use it! Be creative and make the employer want to read on. This is what effective branding does, which includes your voice. It should be some of your best writing and can be written in first person or even third person. Most pundits lean toward first person, as it expresses a more personal side to you. A summary written in first person seems to invite others into the writer’s life. To me, the first person voice is more natural. Look at Jason Alba’s summary written in first person. It is personal and makes you feel like you know him. Jason is the author I’m on LinkedIn, Now What??? and founder of JibberJabber.com. Not many people pull off the third person voice well. In my opinion, the third-person voice can sound stilted; but if done right, it can make a powerful branding impact. Dan Schawbel is one person who makes it work, primarily because he is a reputable branding expert. His summary brands him extremely well. Decide how you want to deliver your personal branding. How you brand yourself through your summary depends on the type of work you’re pursuing, your skill set, the story you want to tell, what you want to reveal about your personality, and other factors. If you want to state your accomplishments in the summary, this can be an effective way of grabbing potential employers’ attention. This is the “Wow” factor of which Tracy speaks. Some prefer to use the work history section for presenting their accomplishments, and, in fact, the history section should be all about accomplishments. Save the mundane duties for your Job Scope on your résumé. As for my summary, I decided to use more of a philosophical/functional approach, describing my strongest skill areas. I put most of my effort into the summary section of my profile but don’t skimp on my work history. While every section is important, it is a heinous crime to neglect the summary section of your profile. Next I’ll talk about the work history of your LinkedIn profile. This entry was posted in Career Search, LinkedIn and tagged accomplishments, LinkedIn profiile, LinkedIn summary, Personal Branding, resume, voice on September 21, 2011 by Things Career Related. Terrific job on your latest articles for job hunters Bob. Keep up the fine work on LinkedIn too. I’m working hard myself at RighteousResumes.com. I had 29 clients earn their way into a new job last month, so I’m very happy. Perhaps you could send me your two or three best articles that help job hunters on interview strategies, fighting age discrimination or salary negotiation strategies. If so I will consider them for inclusion in my book “Insider Secrets — Proven Strategies to Get You Hired Quick.” I’m shopping around for a publisher now. Anyway, it would be another feather in your cap/resume to have your writing published nationwide as a contributing author/expert. I’m looking to help my readers as much as possible so teaching/info articles are favored over opinion articles. Just an idea I’m putting out there for your consideration. Thank you for the compliment, Darrell. You’re a tireless professional resume writer who sincerely cares about your clients, and strives for perfection. So it means a lot coming from you. I’ll gladly send you my entries related to the aforementioned topics. Congrats on helping 29 people get hired. That’s why we do what we do. Thanks for the posting! I think your whole strategy and it’s execution here are just awesome.